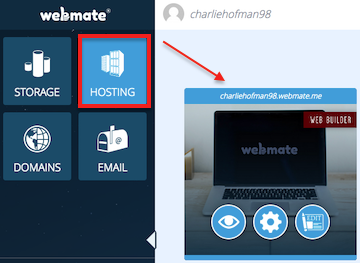 You can create multiple sites on WebMate each with their own domain name. When you're logged in, go to the Hosting tab and select Add New Site, you can then fill in the new website details. Login to WebMate Control. Once done, click the Hosting tab and then click on Add New Site. Choose from existing domains list. This can usually be completed at your current domain registrars control panel. hosting section of WebMate Control. This will ensure the new website files go to the correct site folder.